There is another good news in the line. 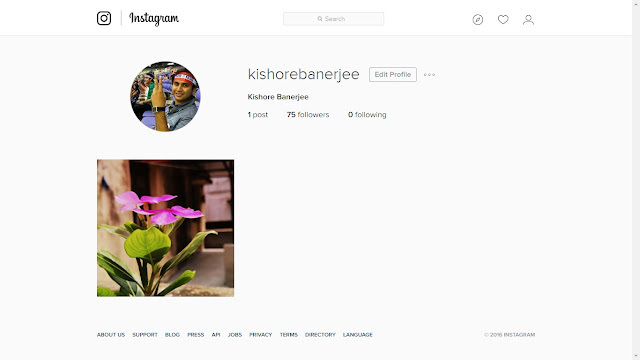 Now you can get all the updates about my "Blog" via Instagram too. You can find it easily as I have posted my Instagram Profile screenshot too. Like & Comment there too, will be looking forward for your suggestions. And continue reading my poems, the next one "Wish" is releasing this Saturday. Have a good day ahead for Global friends & Good Night to all Indian Friends.